Well, nothing like the last minute to tell you that Google Friend Connect is gonna be looong gone tomorrow. What’s that mean? All of these people will no longer be subscribing to Just a Girl. Gasp! I can’t imagine losing thousands of you to this, so I’m hoping you’ll find me some other way. Any of these options are the best for sure! There is no way I could read any blogs without my feed reader, so that would probably be my first suggestion. You can choose the reader you prefer. Easy peasy. 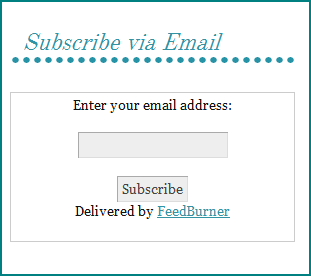 If e-mail is your thing, you could always subscribe through that! You’ll be notified right in your in-box that there’s a new post. Kinda cool, eh? I really do hate to lose anyone simply because they aren’t aware of the options available to read Just a Girl. I hope you’ll find another way! If you have any questions, feel free to contact me! Why is this just hitting me now? I am so bummed. I guess I need to inform my readers as well. Do we know why they are doing that? I think I have been in denial. I will follow you anywhere, my dear! You are already in my reader so I should be good to go. 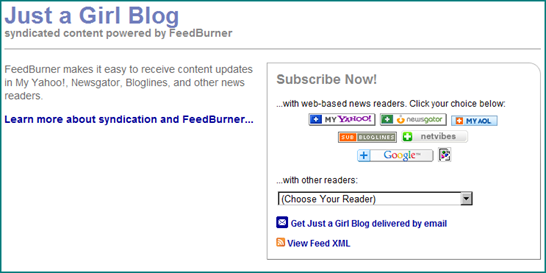 Plus, now I use the “Next” button on Google reader so it actually takes me to your blog instead of just the reader. Easier to leave comments plus I get to see all the pretty backgrounds, etc. I also use Google Reader and I love it! 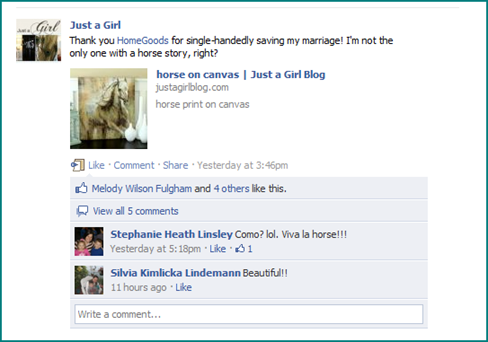 I didn’t know I could just hit ‘next’ to go to the blog … thanks Kristi! I don’t like that GFC is going away either. I’m in the process of moving to wordpress and have yet to find a way to have people follow that I really like. i liked being able to see who and how many ppl were following at a glance. I do have ‘Linky’ up now and it works to show your followers but doesn’t work well as a Reader. I never used GFC that way but I’m finding that a lot of people do. 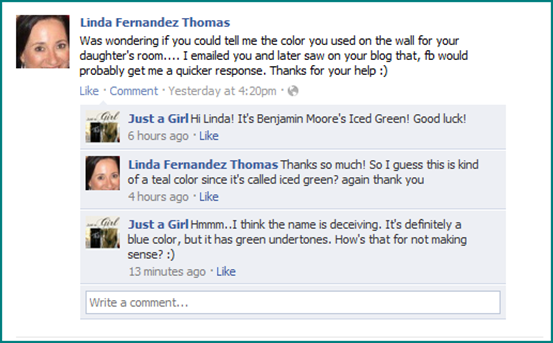 So now I’m not sure what to do:( And I notice that GFC is still active on your blog. When does it go away? Wondering when it will go away for all the blogger blogs too. Sigh. The older I get the less I like change! No comment on all this google mess going on right now 🙁 All of their changes make me a little sad. 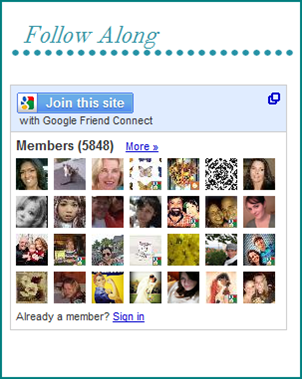 Bloglovin is a great way to follow! you know I use google reader and just noticed just a “shift” in my GFC blogs down to another area but still subscribed? no clue how this all works but I’m still here!